How Can Life Be So Bad When You’re Living in PARADISE? I came across Faïza Guène’s Kiffe kiffe demain translated as Just Like Tomorrow by Sarah Ardizzone, a french contemporary novel for young adults, via a wonderful blog A Year of Reading the World that is being turned into a book*. Ann Morgan, inspired by the arrival of the multitude of athletes who came to London for the Olympics, decided to read a book from every one of 196 independent countries. Each country presented a challenge, with only 3% of books in the UK being translated, she had to call on the help of her network and followers to find an English translation for many locations. Faïza Guène is a young screenwriter who, after being involved in a local community project, began directing her own films. Born in France of Algerian parents, and growing up in a northern suburb of Paris, she writes from the heart of a challenging suburb, in a part of the city that few from the outside know about and about which little is written in literature. Fifteen-year-old Doria lives alone with her illiterate mother, abandoned by a father who is seeking a younger, more fertile wife in his birthplace, Morocco. The story follows Doria’s unadulterated thoughts, which for most of the narrative are quietly despondent yet noisy with attitude. She is not prone to drama, although she observes it around her, as if from within a bubble and provides a running commentary on everything in her mind,and on the page. Peppered with teenage slang, suburban Franco-Arabic dialect, the voice is unique and easily conjures an image of what life must be like for Doria, as she waits to be thrown out of school and pushed into a career she has no desire for. Her low expectations of life make the small gains she and her mother make all the more pronounced and the humour all the funnier. What Mum really likes watching on telly in the evenings is the weather forecast. Specially when it’s that presenter with brown hair, the one who tried out for the musical The Birdcage but didn’t get it because he was over the top…So there he was, talking about this huge cyclone in the Caribbean, and it was like oh my days, this crazy thing getting ready to do loads of damage. Franky, this hurricane was called. Mum said she thought the western obsession with giving names to natural disasters was totally stupid. I like it when Mum and me get a chance to have deep and meaningful conversations. It is a slice of life, coming of age story, of a second generation teenage immigrant living her life far from the images of the city of Paris that come to mind for most of us. It is a book that has been widely translated into other languages and offers a unique insight into teenage life for those on the fringe and an excellent alternative to the more well-known French literature out there. *Reading the World: Postcards from my Bookshelf will be published by Harvill Secker in 2015. 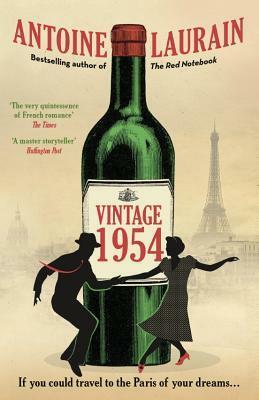 This entry was posted in Fiction, French Culture, Translation, Young Adult and tagged book review, books, culture, depression, Faïza Guène, family, French literature, immigration, translated fiction, YA. Bookmark the permalink. I love Faïza Guène. In part I guess because she’s easy to read even in French (in fact I’m not sure about that extract in English you posted. It doesn’t seem…. the same), and I loved learning the argot. Doria’s small world and humble expectations don’t make her any less attractive as a character. Love the idea of ‘Reading the world’. Now there’s a challenge! I understand what you mean about the language, I thought the translator did a good job, especially given the style of the voice and it loses something in translation certainly, I will make sure next time to read her in the original language, her books are likely to be available in my local library at least! I agree, Doria’s world and expectations and that small shift that occurs, if anything, make her a character we can relate to on a certain level, that an improvement in our lives can occur without requiring a grand leap or immense courage. I’d love to see how Doria manifests on screen. Wonderful review, Claire! Nice to know that you liked this book. I discovered ‘Kiffe Kiffe Demain’ through the book ‘One Hundred Great French Books’ by Lance Donaldson-Evans. I remember reading an article in the newspaper about that reader travelling to 196 countries through her reading. It was a very inspiring article to read. Great to know this book has already made it into such a collection as 100 Great French Books, Vishy. The reading around the world book will be a good collection when it is released in book form I am sure. I read a post on her blog talking about the effect of a BBC interview that got picked up worldwide, resulting in 42,000 hits on her blog in one day And that was after she had completed the project! Amazing how an idea can develop into such a wonderful project and leave a permanent reminder of its joys for all to share. I’m having a slow start to the year, as you may have noticed 🙂 Still catching up on last years reviews and getting ready to read the first two chapters of Eugene Onegin. Interesting to know about that reader’s blog, Claire. It will be interesting to read her book when it comes out. I think a slow year at the start is okay 🙂 I hope you are enjoying reading ‘Eugene Onegin’. I will look forward to hearing your thoughts on it. Hope you have fun at the readalong. Thanks so much for this, Claire. I hadn’t come across a Year of Reading the World before – what a wonderful project, and such perseverance! Delighted that it’s going to be published as a book. 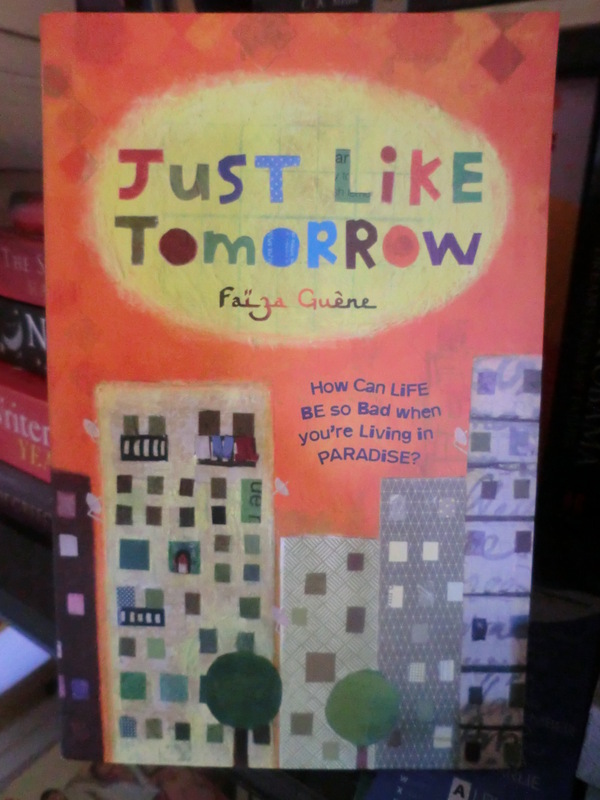 Just Like Tomorrow sounds like a fine example, giving readers a glimpse into a world they’d never visit themselves. I’m not a reader of YA novels but may have to make this one an exception. Likewise Susan, I rarely read books in the YA genre, unless for a very good reason, this one offers something more than just a story, the authors own journey is inspiring and her way of communicating on the page quite unique. Glad to introduce you to A Year of Reading the World, it was a wonderful blog to follow and a book I’ll definitely be keeping as a reference, the story surrounding how she came to each book often as interesting as the reviews themselves! I’ve had a bad experience with ‘streaming consciousness’ Bolano ” 2666 “. I just don’t enjoy that style of writing. For me, it depends in whose hands the writing is, Henry James doesn’t really work for me, but Virginia Woolf does. I tend to prefer the more contemporary writers, because they’re better edited than most classics or at least edited for our times perhaps. I did put aside Peter Høeg’s The Elephant Keeper’s Children recently, realising it was stream of consciousness, one definitely has to be in the mood for taking that ride. You make an excellent point: it depends on who is writing the stream of consciousness. In The Netherlands cool is heard….but now the kids all say: “VET” or “GAAF”. If you visit Amsterdam and you want to express how much you like something…..those are the ‘trendy’ words! I’m searching for the meaning of ‘la coeur d’artichoke ‘. When I discover it….I’ll add it to the thread! La coeur d’atichoke = a fickle heart Someone (in matters of the heart) who is changing, often capricious, but very charming! I love the stream of consciousness technique, so I will consider reading this book in the future. I think I gravitate toward authors who use this kind of technique… I really like to enter the character’s mind. (You will not be surprised if I tell you that I love reading James Joyce’s works, for example).